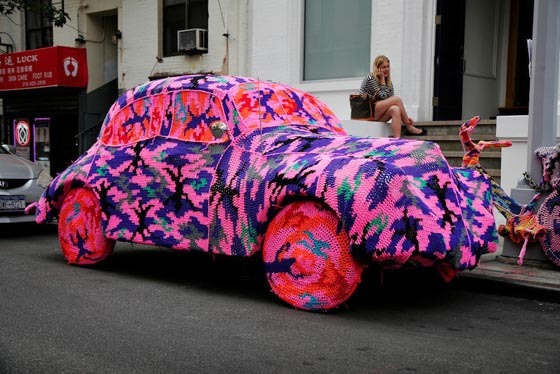 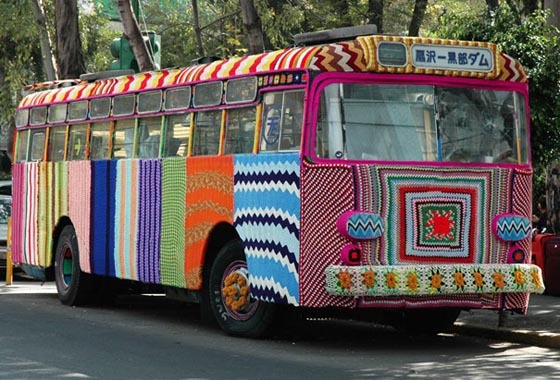 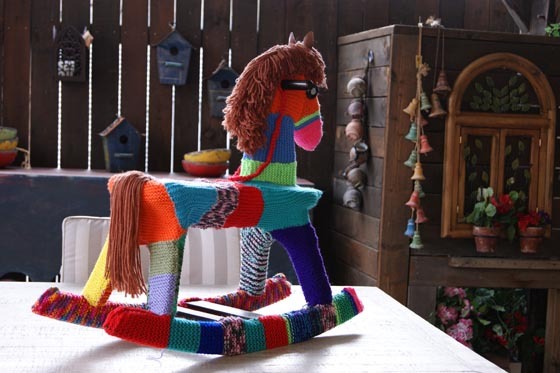 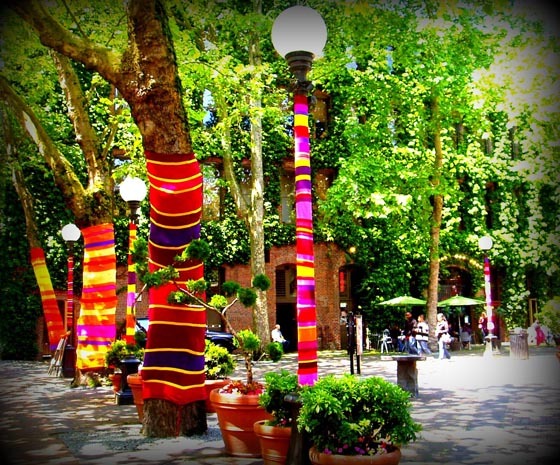 Yarn bombing (or yarnbombing, yarnstorming, guerrilla knitting, urban knitting or graffiti knitting) is a type of graffiti or street art that employs colorful displays of knitted or crocheted yarn or fiber on different displays, such as hydrants, lampposts, mailboxes, bicycles, cars, trees or any other ordinary urban objects. 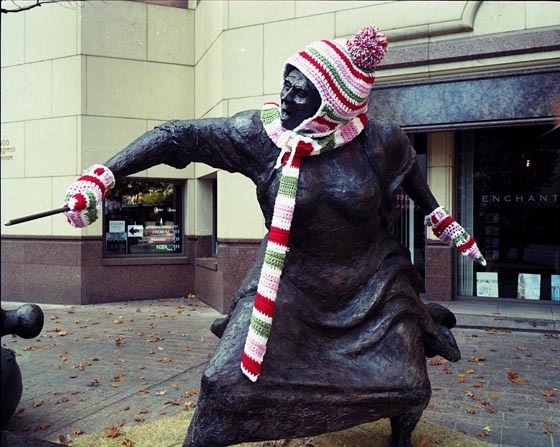 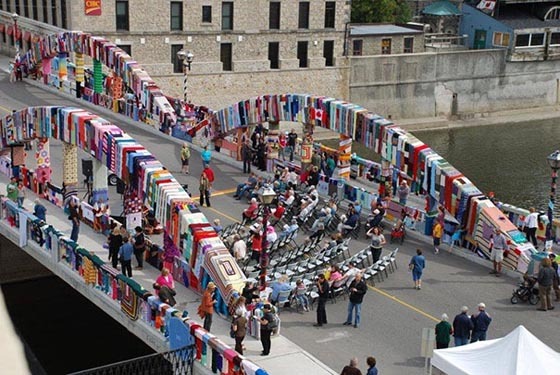 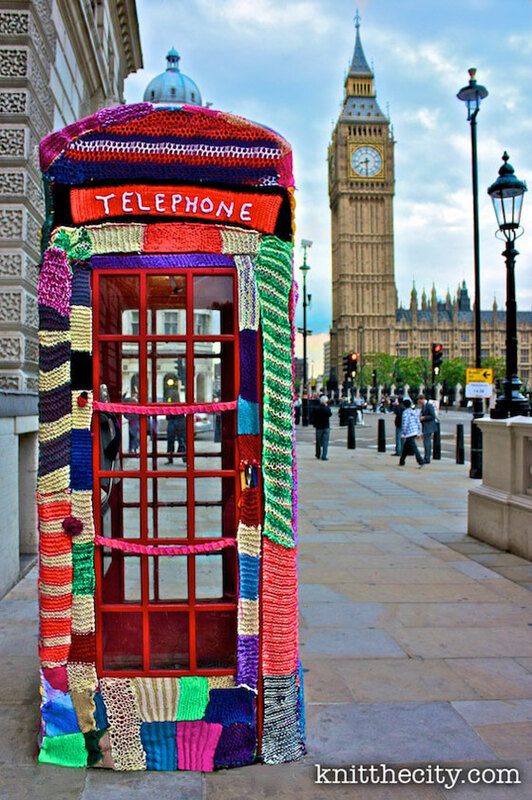 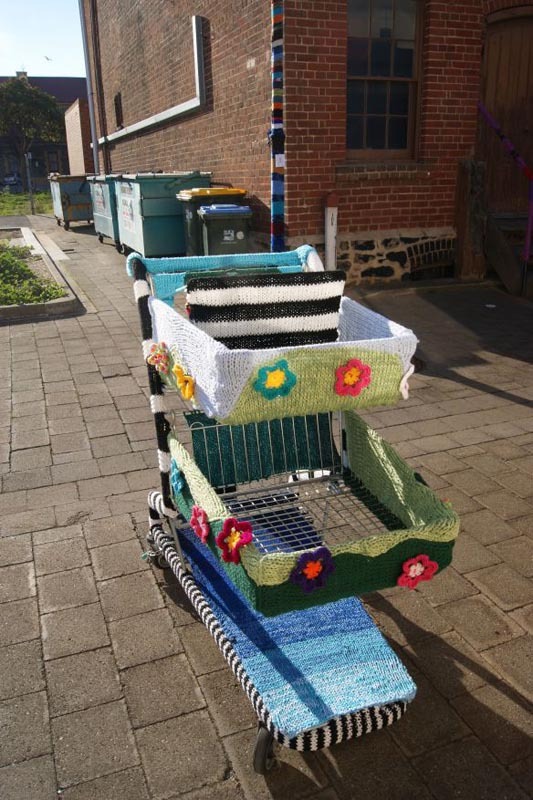 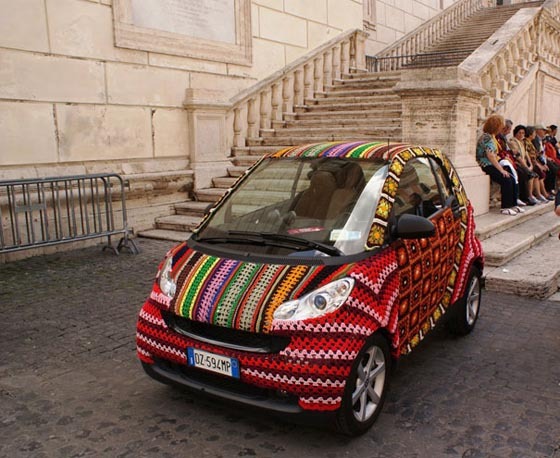 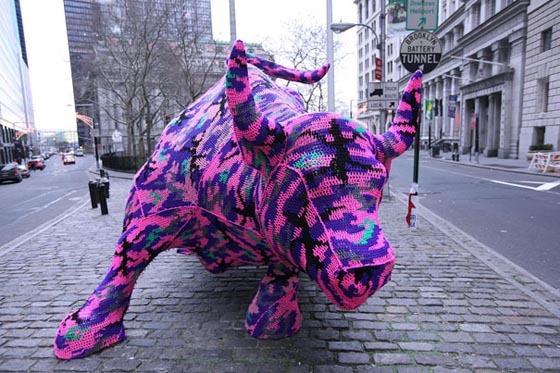 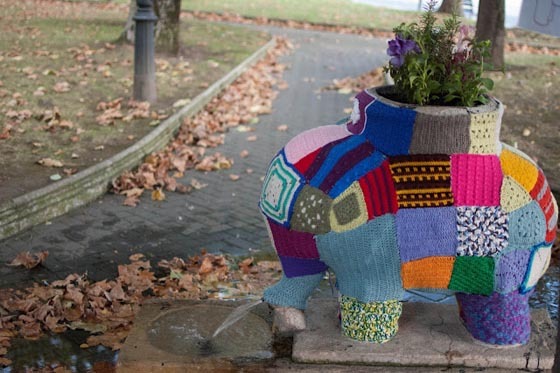 While other forms of graffiti may be expressive, decorative, territorial, socio-political commentary, advertising or vandalism, yarn bombing was initially almost exclusively about reclaiming and personalizing sterile or cold public places. 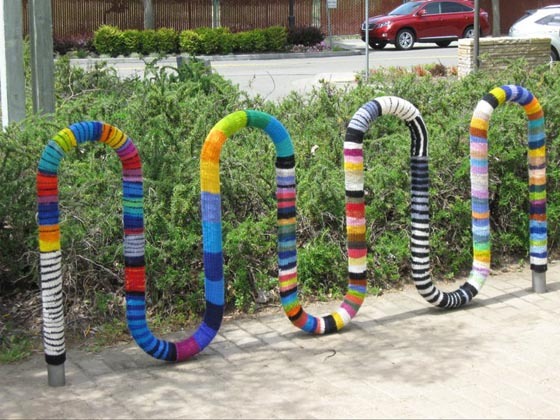 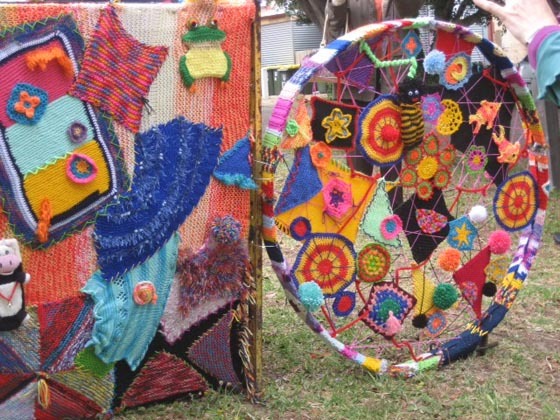 After installations, these yarn bombs may last for years. 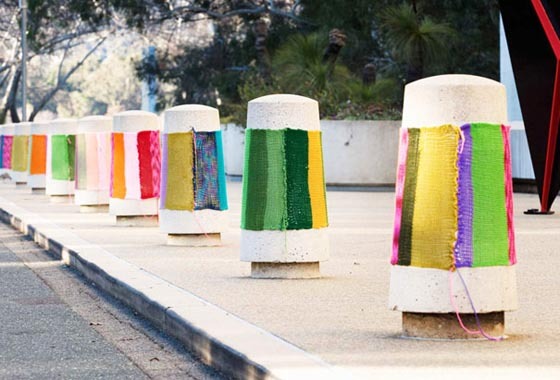 However they are considered non-permanent, and, unlike other forms of graffiti, can be easily removed if necessary. 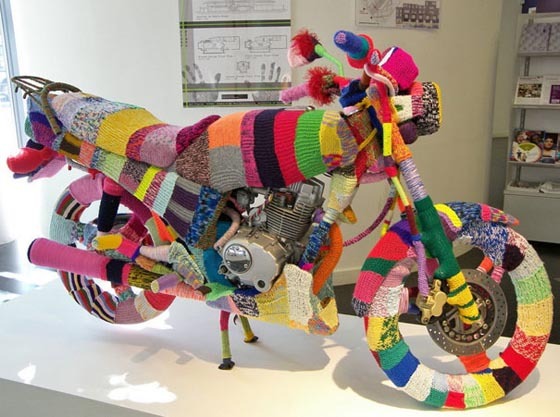 Nonetheless, the practice is still technically illegal. 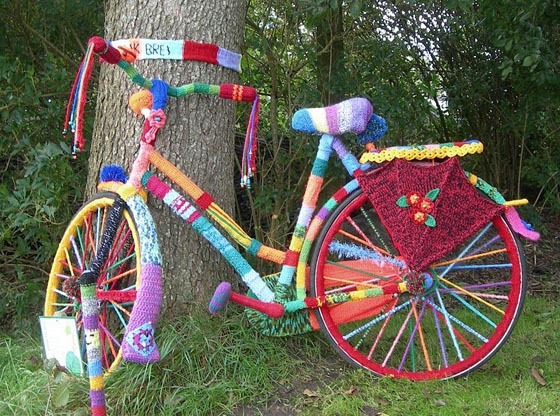 Let’s Desert Topping Your Life! 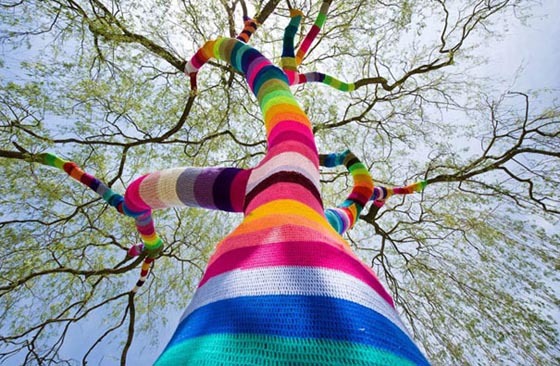 Very cool, gives a nice warm feeling in most of the images. 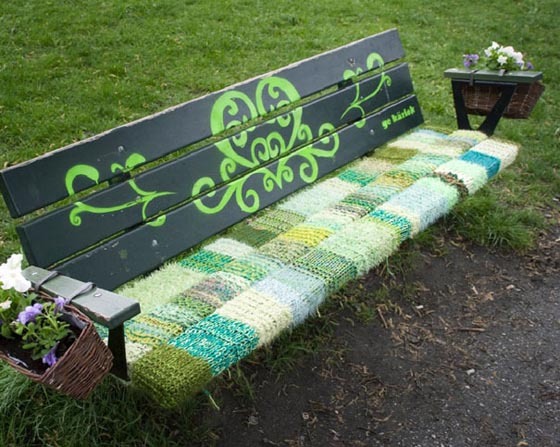 I suppose the only down side is that when it rains, like in the case of the bombed bench, it certainly would not dry very quickly.